Packed with worked examples and problems, this book will help the reader improve their confidence and skill in data-handling. The mathematical methods needed for problem-solving are described in the first part of the book, with chapters covering topics such as indices, graphs and logarithms. 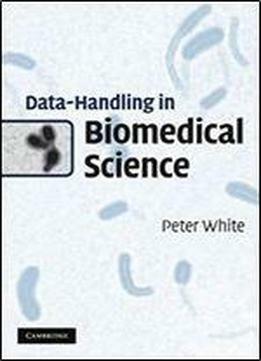 The following eight chapters explore data-handling in different areas of microbiology and biochemistry including microbial growth, enzymes and radioactivity. Each chapter is fully illustrated with worked examples that provide a step-by-step guide to the solution of the most common problems. Over 30 exercises, ranging in difficulty and length, allow you to practise your skills and are accompanied by a full set of hints and solutions.